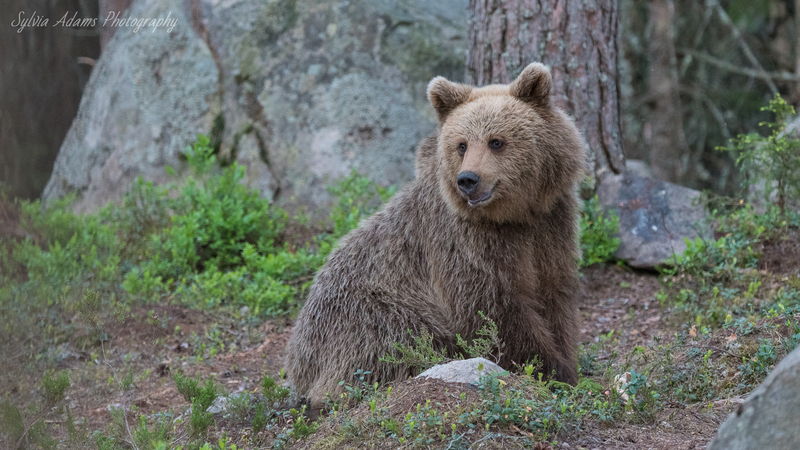 In the northern part of Gästrikland, less than a 3 hours drive from Stockholm, you can find Sweden’s southernmost bear hide. 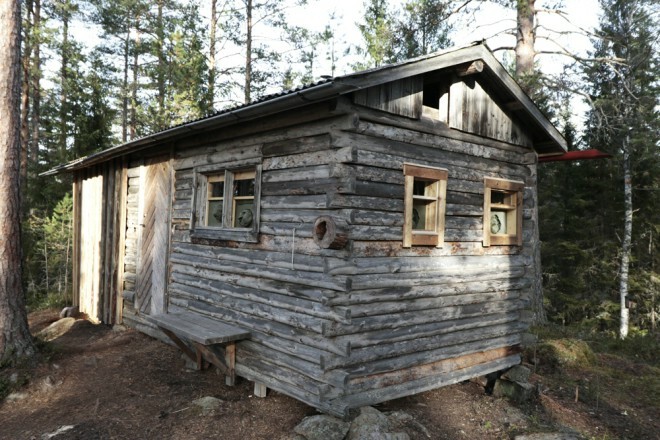 It has been especially constructed for watching bears and other animal species. 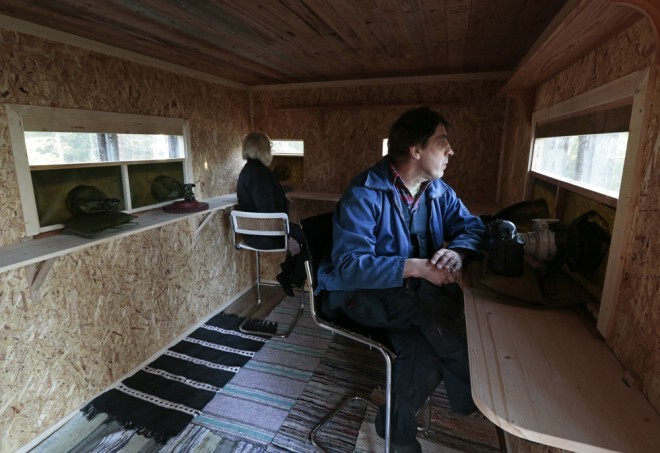 The hide is on a slight elevation and offers views in 3 directions. 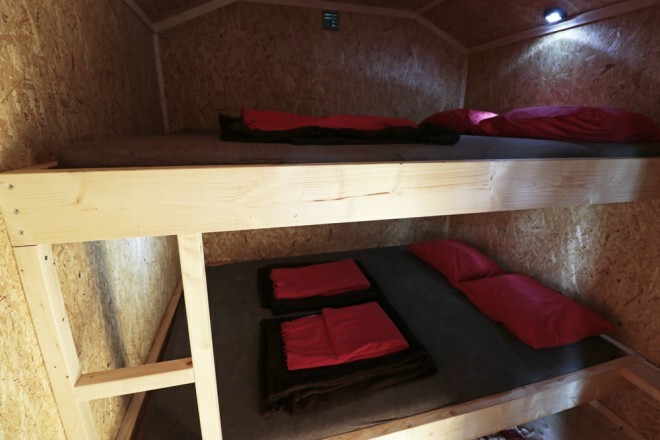 It accommodates 4 people and has 9 openings. Only 6 openings can be seen on the pictures, but an extra opening has been made down below on every side. In these mossy pine forests with their large boulders a bear can surface at any time. The bear hide can be booked from 10 May to 10 September; every day of the week except on Monday. You gather in a photo gallery at 15:00 at the latest. You are served tea/coffee and an open sandwich, and receive information about the activity. After about 90 minutes you will be taken to the hide, where you will spend the night. 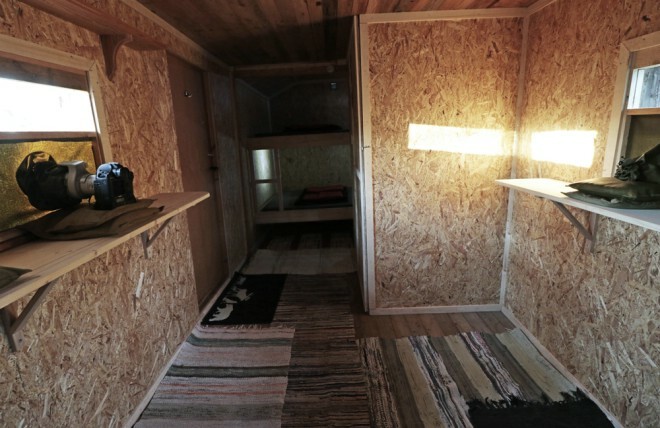 The hide sleeps 4 and has a basic toilet. Sheets, pillows and blankets are available. Your hostess will pick you up the next morning at 8:00 and offer you breakfast. You are free to use the guest quarters (guest room, kitchen and bathroom) should you wish to rest before your departure. 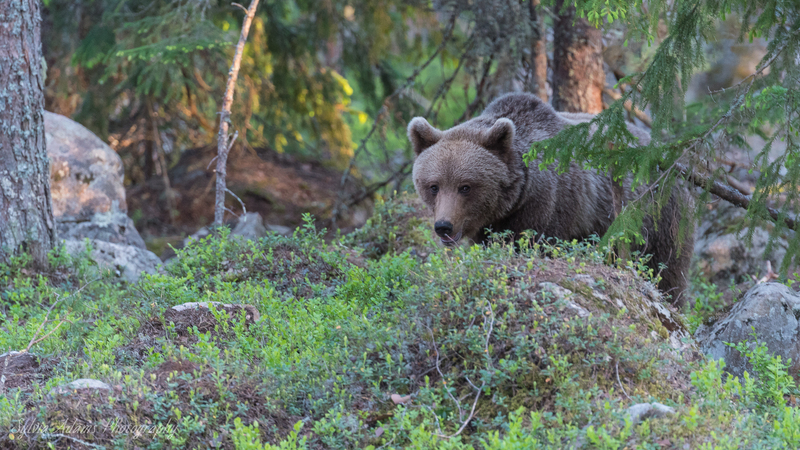 As the bears are very shy, please do not scare them off by making too much noise. If you are on your own, you will be sharing the hide with others. 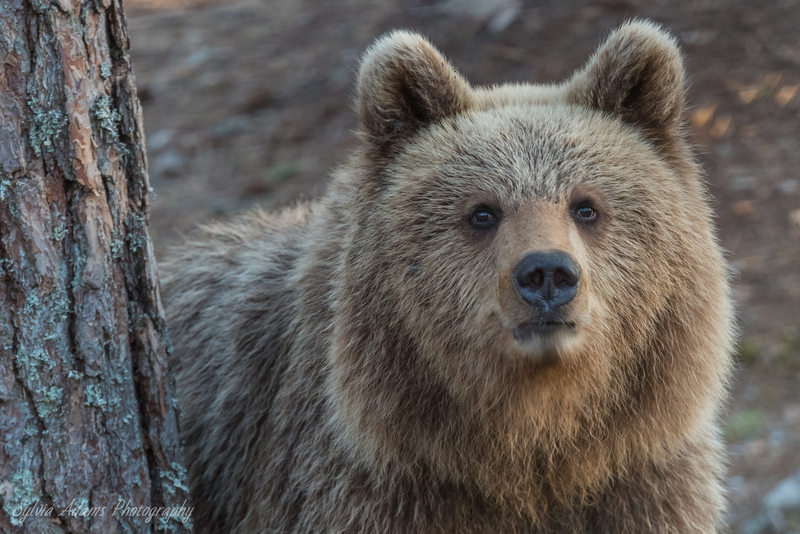 In 2017 bears were spotted on every occasion, in 2018 the success rate was 95%. The more quiet you are, the bigger your chances of spotting bears. If they come at a favourable time, the photo opportunities are excellent. Apart from bears, a variety of birds (great spotted woodpecker, grey-headed woodpecker, jay, birds of prey, etc.) and squirrels can be observed and photographed. Sometimes a fox tiptoes by. Please bring boots or shoes that are OK to get muddy (it is a 400 meter hike to the hide), binoculars (optional), warm socks (slippers are available), your camera material, and food and drinks for the duration of your stay in the hide (17:00-08:00). Try to avoid bringing refreshments with strong smells and noisy packaging. Please try to be as odourless as possible and avoid perfumes and other strong fragrances.